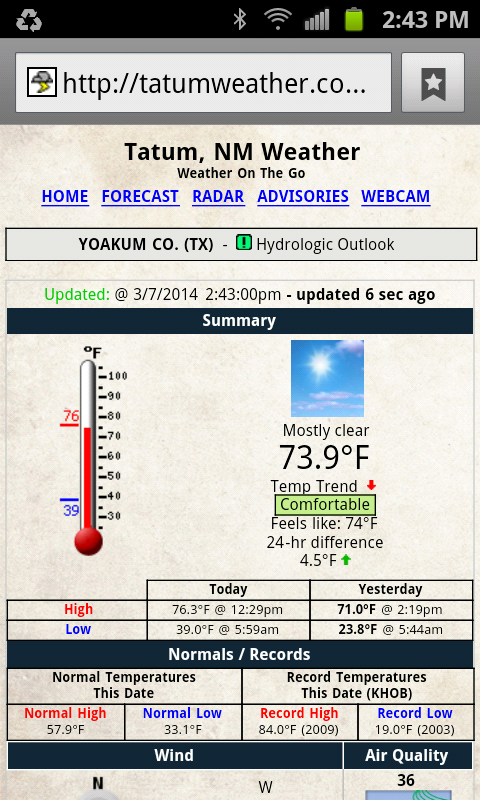 TatumWeather.com provides a live weather feed for your cell phone, smart phone, Iphone or pda. This feed was designed with size and navigational ease of use in mind. This mobile feeds can serve as information when internet access is not available. The site provides live doppler radar, live temperatures, current watch/warnings/advisories and forecast.